I AM SO EXCITED TO WRITE THIS POST. 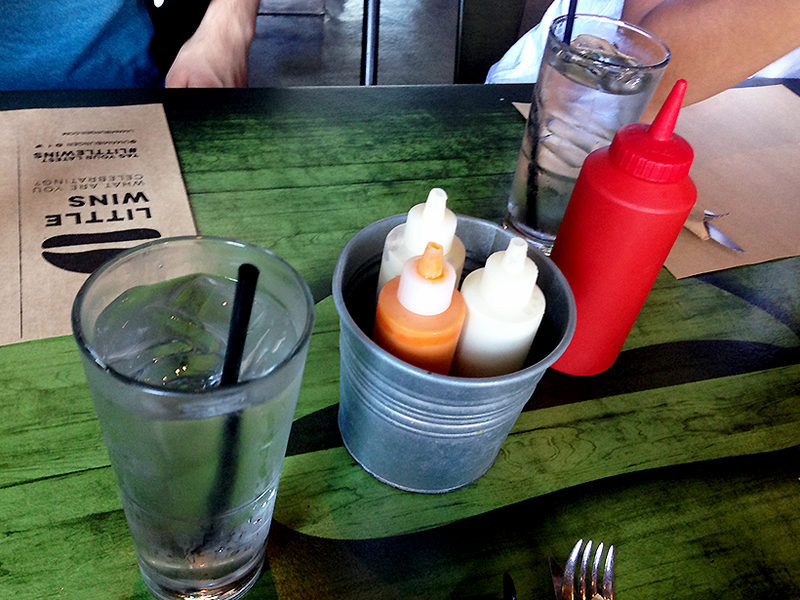 I’ve been waiting almost 2 years to go to Umami burger ever since I read about it on Fashimi‘s blog. I don’t know what stood out to me, but I longed for it. I wanted to go last year during AX but we didn’t have time… This year, I made it my mission! 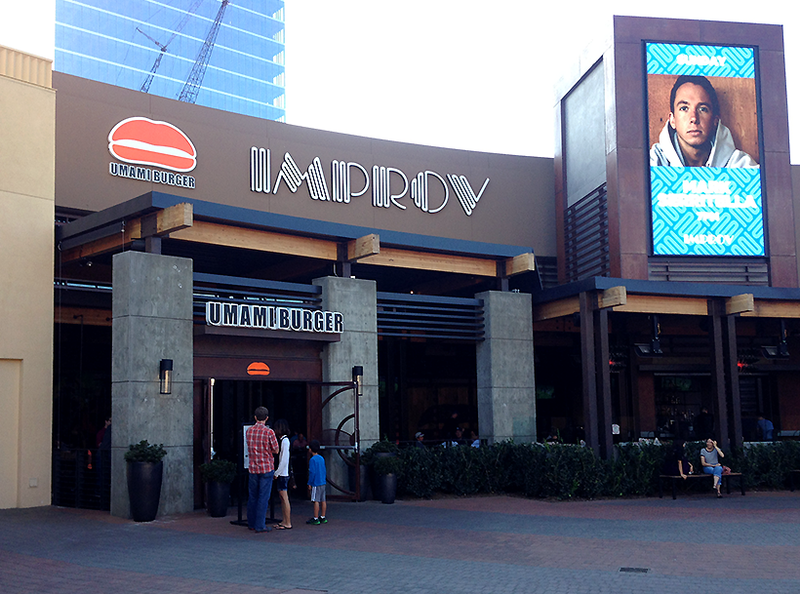 We drove to Umami Burger in the Irvine Spectrum Centre. 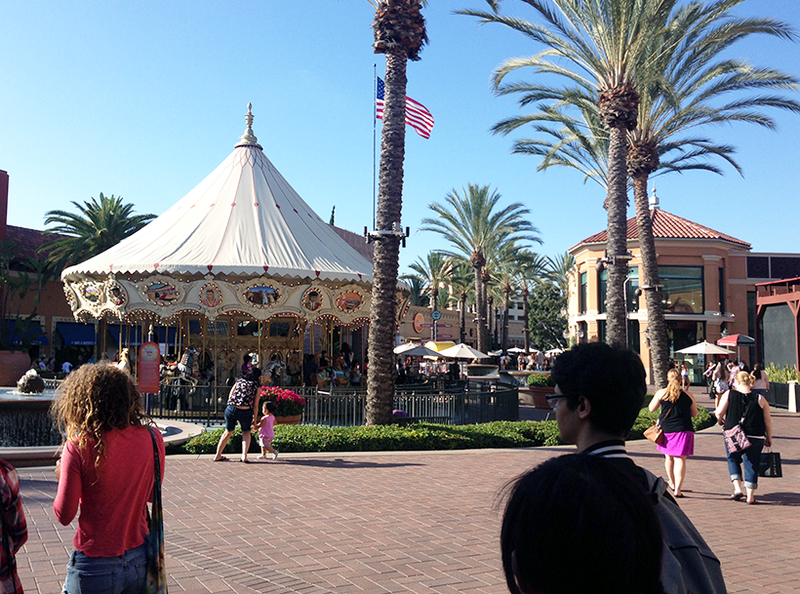 There was even a cute little carousel!! I love California weather, so much sunshine, and the temperature was lovely. Ate at around 5-6PM and there wasn’t much of a line, so we were seated immediately! We were handed a menu and immediately took to the intense decision making process. The four of us decided to each order a different burger so we could share and taste all of the different types! 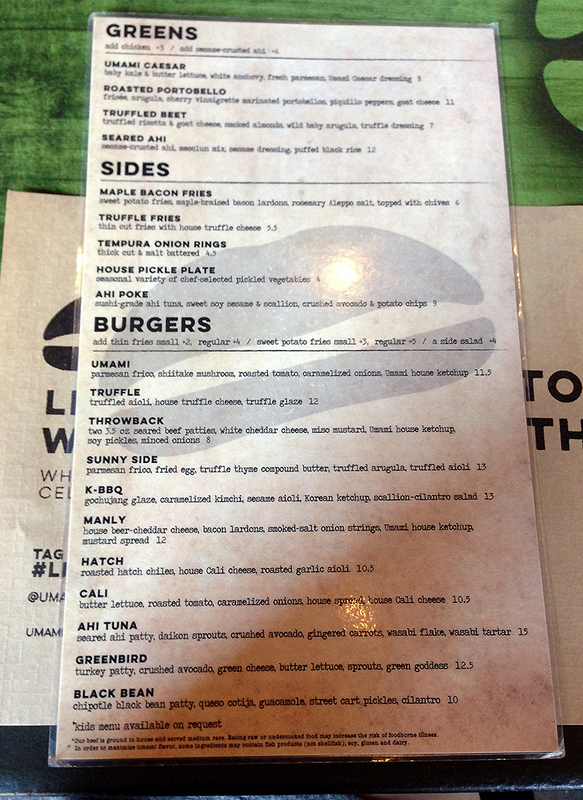 I opted for the classic Umami burger (if it’s named after the restaurant, it must be special….right?) Jord got the Manly, Megan got the throwback, and Joe ordered the KBBQ. 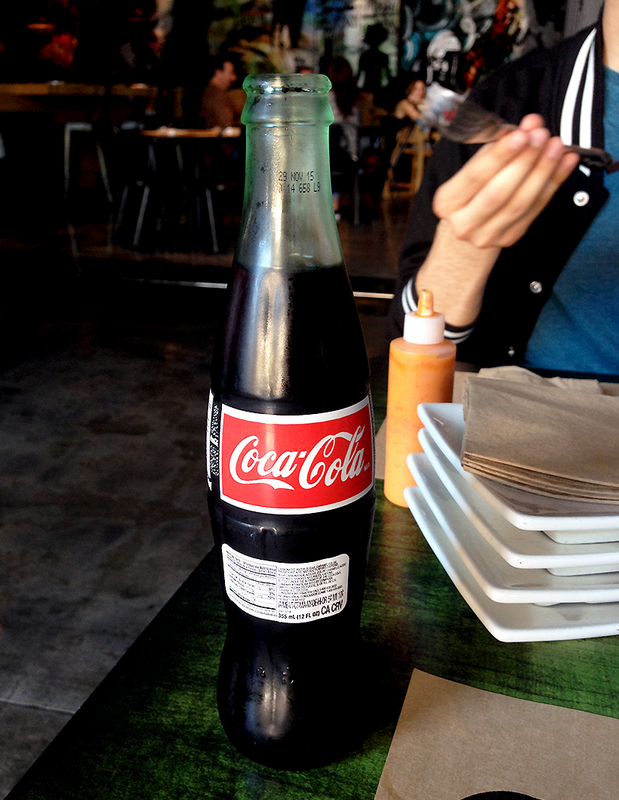 Ordered a “mexican coke“. Didn’t taste too much different than regular coke but had a different type of sweetness? Joe told me it was because they used cane sugar. Still tasty! We waited in anticipation until…. 2 serves with large plates arrived and handed us our food!! ISN’T IT BEAUTIFUL?? 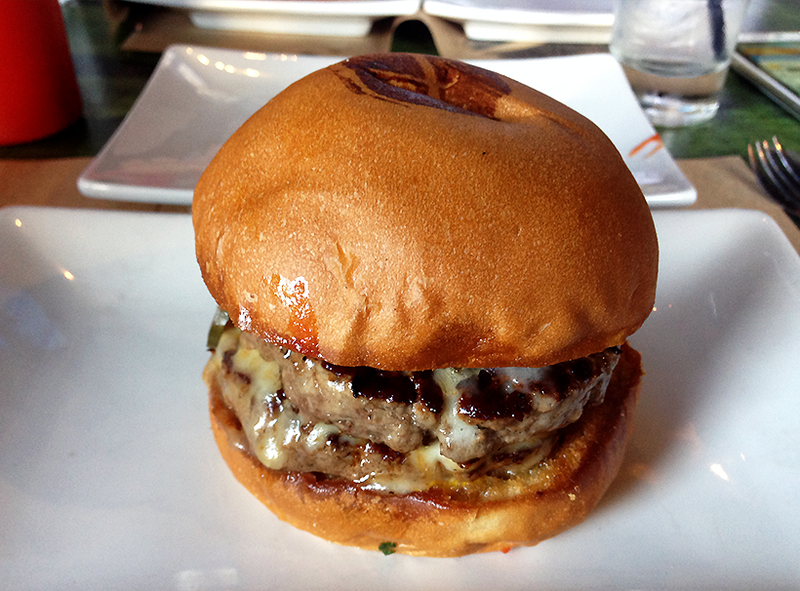 The Umami burger has parmesan frico, shiitake mushroom, roasted tomato, carmelized onions, and umami house ketchup. My burger was medium-well done and was absolutely delicious, with onions embedded within the oozing cheese. Passed my phone around and told everyone to take photos of their burgers because we all agreed they had to be immortalized in photographs before eating. We actually took a few bites of our own burgers and then rotated so we got a taste of everyone elses! 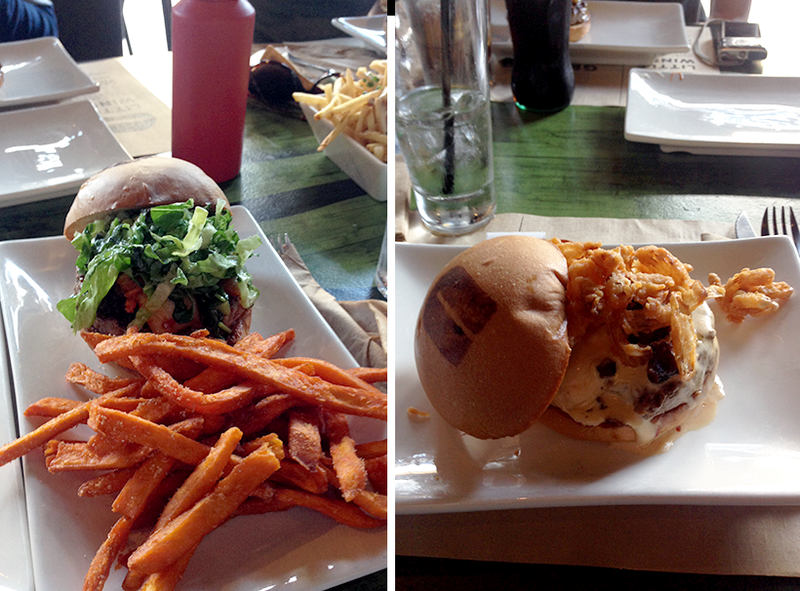 I really liked Jord’s manly burger… I’ll make sure to order it next time! We also had a side of truffle fries and maple bacon fries. The burgers only lasted 5 minutes tops… Our lovely server asked us if we wanted dessert. 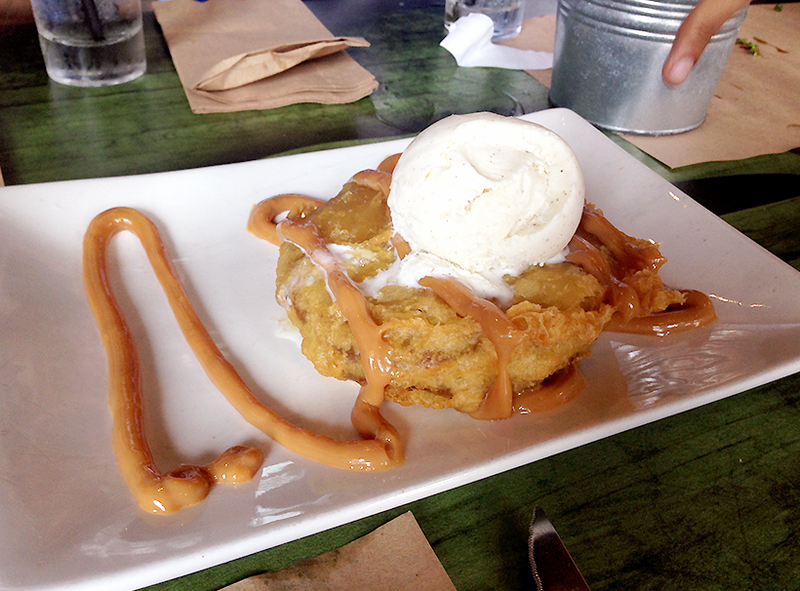 After hearing about the “UFO“, a deep fried ice cream sandwich. 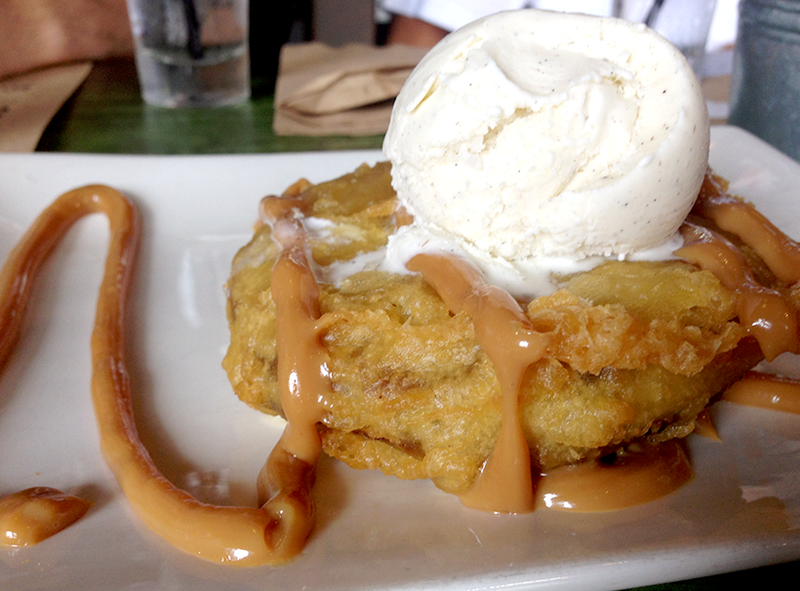 The words “deep fried” both scare and intrigue me, so we #yolo’d it and decided to share it! Look at that glorious drizzle of caramel sauce! I’m mentally blocking out the thought of how many transfats are in this dish but honestly this was one of the tastiest desserts. Even better when shared with good company!! We devoured the dish in seconds. Literally. Our waitress came to our table to check if our dish had come out yet and was surprised to see a cleaned up plate! She even commented on it, haha. Overall, Umami exceeded my expectations – totally made the 2 year wait worth it! (haha!!) I highly recommend it – they’ve got locations in California, New York, Chicago, and Las Vegas! Can’t wait until I can get my hands on another Umami Burger. That's crazy! The spectrum's practically my backyard xD I always steal my friends' fries at Umami.